Calculating net present value can help you evaluate your pension. Calculating the net present value of a future pension is just like calculating the present value of any other income stream. It can be done with a pen and paper, but a calculator and/or spreadsheet software like Microsoft Excel can make the process easier. The only other necessary items are a few important formulas and data parameters. You can calculate the net present value of a future pension using a series of relatively straightforward mathematical formulas and easily accessible data related to your pension. Present value calculations are a way to take an amount of money or a series of payments which are due to you in the future, and determine how much money that income is worth today. For a pension plan, two main steps are involved: First, you'll calculate the total value of the pension plan at the time it will begin, which is your retirement age. Then you'll discount that amount of money to the present. 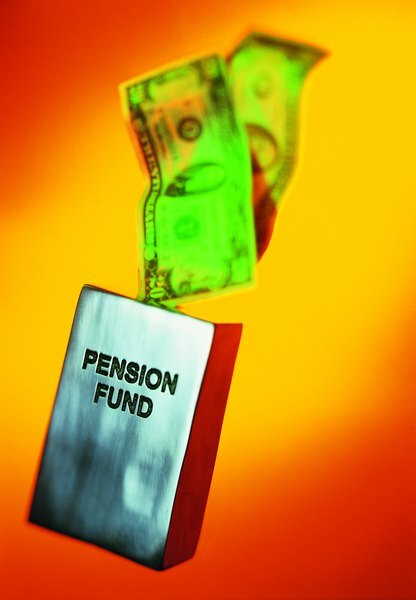 To calculate the value of the pension at the time you retire, determine with the annualized payments the pension sends. If you have the yearly payment, that's all you need. If you have a monthly payment, multiply by 12, or multiply a quarterly payment by 4, and so on. We'll call this number PMT, which is short for "payment." After that, you'll calculate the number of years you expect the pension to pay out: For example, if you plan to retire at 65 and you estimate that you'll live to about 80, use 15. The number found in the last section is the present value of the pension at the time you retire. Next, you'll discount this amount back to your current age. The formula is simple: Net present value = CF/[(1 + r) ^ n] -- where CF, or "cash flow," is the final number from the last section's calculation. This formula accounts for the number of years you have left until you retire and the pension begins to pay out. The net present value of a pension or any other stream of income is an important tool to calculate how an income stream's value in current dollars. This information can help you determine not only what level of income you can expect during your retirement years, but also whether or not switching careers may be beneficial for your long term financial future. Net present value accounts for the fact that the money is spread out over several years and could be invested and paying a return in that time period. Do You Include Your Home's Value in Your Net Worth Calculations? "The Difference Between IRR, NPV & Investment Risk"
Can I Deduct Payments Made to the IRS for a Tax Return?